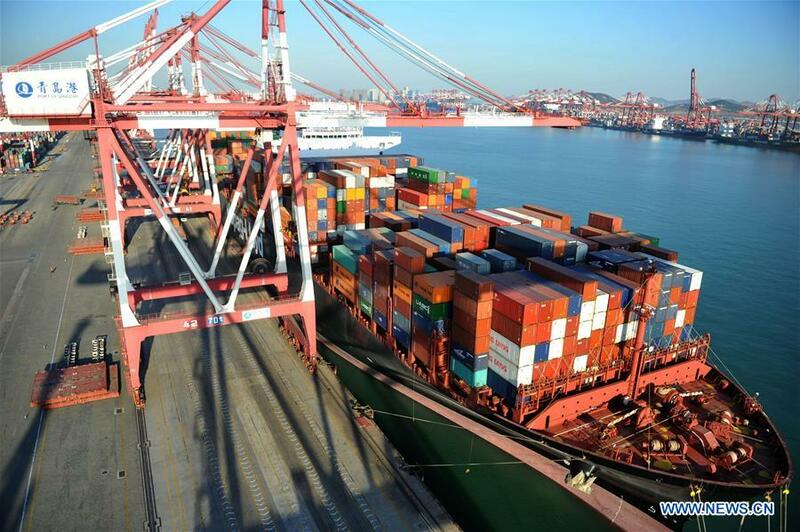 The decision to cut import tariffs from the start of next month is expected to reduce China's overall tariff from 9.8 percent to 7.5 percent, which along with other measures will work to reduce tariffs by nearly 60 billion yuan ($8.7 billion), according to the State Council. Experts said the move demonstrates the country's determination and fulfillment of its promise to further open its door to the outside world while firmly supporting free trade. The State Council decided to cut tariffs on 1,585 industrial products during an executive meeting presided over by Premier Li Keqiang on Sept 26. Starting Nov 1, the average rate for machinery and electronic devices will be cut to 8.8 percent, down from the current 12.2 percent, the China's Cabinet said. The average rates for textiles and construction materials will be set at 8.4 percent, while the rate for paper-made commodities and other primary products will fall from 6.6 percent to 5.4 percent. When the new tariffs come into effect, China's overall tariff is estimated to be a little higher than the European Union and lower than many developing countries, including Thailand, Mexico and Vietnam, according to Chen Fengying, a senior researcher at the China Institutes of Contemporary International Relations. China's rate should be at the medium level among developing economies and in line with its status as a developing nation, she said. At a policy briefing hosted by the State Council Information Office in June, Zhu Guangyao, former vice-minister of finance, said tariffs are levied based on import prices rather than domestic market prices. Therefore, the tariff reduction can lower import costs and, in turn, help lower the prices of commodities on the domestic market, he said. Lower tariffs and commodity prices can stimulate domestic consumption while more choices will be made available to domestic consumers, Chen said. The new policy marks the third time this year China has reduced tariffs on imported goods. A State Council executive meeting in May decided to decrease tariffs on a number of daily consumer goods, while a meeting in April placed a zero-tariff policy on cancer medicines. The latest move is also the seventh round of import tariff reductions since the beginning of 2015, aiming to facilitate international trade and benefit consumers. Over the past five years, China has contributed more than 30 percent of global economic growth, Premier Li said in March when he delivered the Government Work Report. Ministry of Commerce figures showed that the country imported goods worth 7.8 trillion yuan from January to July, an increase of 12.6 percent compared with the same period last year. In the next 15 years, China is forecast to import goods worth $24 trillion, Xinhua News Agency reported. Bai Ming, deputy director of the International Market Research Institute, part of the Chinese Academy of International Trade and Economic Cooperation, said the new tariff policy focuses on raw materials and primary industrial products. China's further opening-up is embodied by the lowered threshold for market access, which should be boosted with trade facilitation, Bai said. Reducing import tariffs is a vital means to improve trade liberalization and can help China buy high-quality products in the global context while promoting the industrial upgrade of its own economy, he said. Cui Fan, a professor at the University of International Business and Economics, said the move is part of China's long-term endeavors to lower tariffs. Combined with a number of policies released by the State Council to attract foreign investors, the tariff policy is expected to improve the business environment and help boost foreign investment in the world's second-largest economy, he said. Foreign direct investment in China is expected to remain stable in the fourth quarter and next year, Cui added.